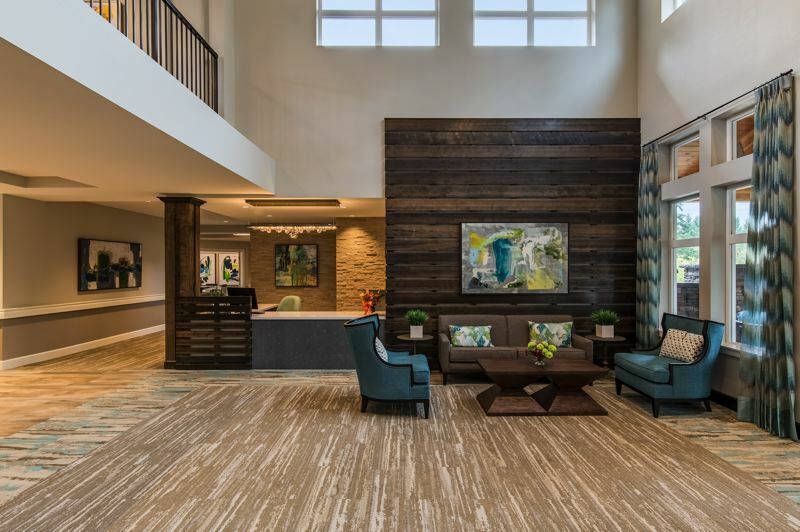 Confluent Senior Living's Beaverton facility is open, a second is under way in Happy Valley. 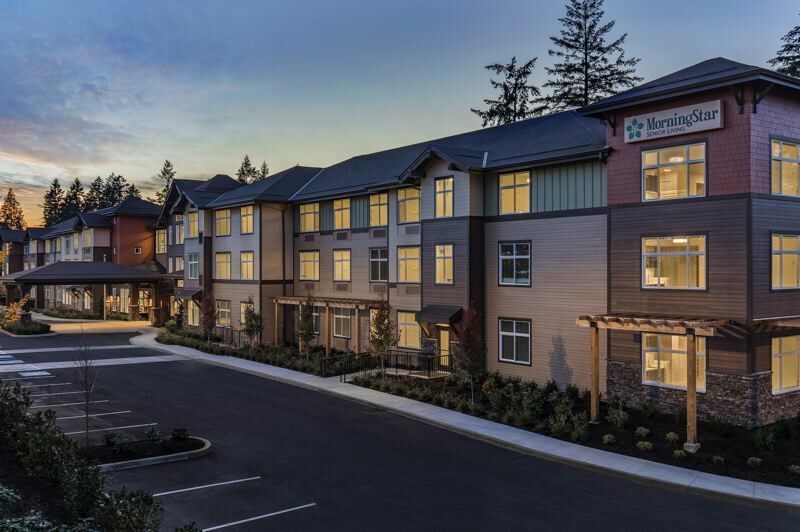 Two national companies focused on the senior-living market have moved into the Portland metro area with the opening of a community in Beaverton. MorningStar of Beaverton, on Southwest Barrows Road in the Progress Ridge area, offers 104 units of assisted living and memory care services. Developed and owned by Confluent Senior Living, the community is being operated by MorningStar Senior Living. While the Beaverton location is the eighth community in the U.S. that Confluent and MorningStar have developed and opened together, it's the first of as many as five they hope to open in the Portland area, John Reinsma, Confluent's managing director, said. A second community is already under construction at Southwest Sunnyside Road and 142nd Avenue in Happy Valley. That location is on track to open in the second quarter of 2019, Reinsma said. The company also is looking at possible sites for two or three more metro-area communities, Reinsma said, and is open to a wide range of locations, including downtown Portland. "We have done dense, urban [locations]," he said. "We would do that in Portland if the right site came up." Like many out-of-state developers when they first enter the Portland metro market, Confluent quickly learned that finding a suitable sized property was difficult. The company considers a site of 3 to 5 acres to be "ideal" for its projects, Reinsma said. It took Confluent a year to find the Beaverton property. Even then, the site posed several challenges. The property was two different parcels, which required the company to go through a detailed rezoning process. Half of the property also is wetlands and open space. In order to preserve those areas, Confluent and its project team — LRS Architects, civil engineer 3J Consulting, general contractor LCG Pence and Arizona-based Thoma-Holec Design as interior designer — got creative with siting the building. Several patio areas, for example, were situated in locations that will allow users to enjoy the wetlands and green spaces at the back of the property. Protecting the wetland area also resulted in the need to cut down several trees at the front of the property, Wood from the trees was used to build inset shelves and other features in the building, Reinsma said. While the MorningStar of Beaverton and Happy Valley communities will have similar missions when it comes to serving their residents, they'll feature different designs and finishes. "That's one of the biggest things we focus on — designing to fit in with the existing architecture of a neighborhood and a community," Reinsma said. The buildings in the Happy Valley community, for example, will have abundant wood accents that will give it a rustic Pacific Northwest feel. The Beaverton community's overall look, on the other hand, is what Reinsma describes as "a little more traditional." A shortage of land wasn't the only challenge that Confluent faced in trying to build its assisted living and memory care communities. The permitting and design approval processes in both Beaverton and Happy Valley were more drawn out and complex than what the company has faced in other parts of the country. But Reinsma said he doesn't mind that the development process, from finding and purchasing land to actually opening facility doors, has been longer than his company is used to. For one thing, he appreciates that local governments care enough to set high standards for project designs. For another, he thinks having a long project timeframe helps cut down on the amount of industry competition. While the Portland metro area offers desirable demographics for companies in the assisted living and memory care industries, many want a quick turnaround for their projects. Confluent, Reinsma said, is an exception. "We're very patient. We underwrite [our projects] for a long-term hold."